David Sanger and John Hart's classic book San Francisco Bay: Portrait of an Estuary was released in October 2003. 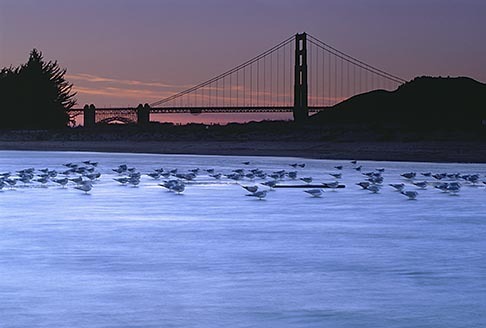 A portrait of San Francisco Bay, the largest estuary system on the west coast of the Americas, this large-format photography book showcases a fragile yet essential centerpiece of life in the Bay Area. "The bay is brought beautifully to life through Sanger's eye for the spectacular vista and the unusual angle, as well as his passionate understanding of the details that make up the whole."